In what was absolutely a boneheaded move from Sony Pictures, our introduction to their fresh take on the superhero decided to skip over what he actually looks like. You could argue that this omission was intentional in order to preserve the surprise for the movie (or perhaps the effects weren’t quite finished), but intentional or not, it now means that we’re not getting our first look at Venom in the climax of an exciting, hype-filled trailer. No. Instead, we’re seeing a low-resolution image of him on the side of a bottle of iced tea. Is really this what you wanted Sony? Because this is how it’s going down. To be more precise, it’s not just iced tea. 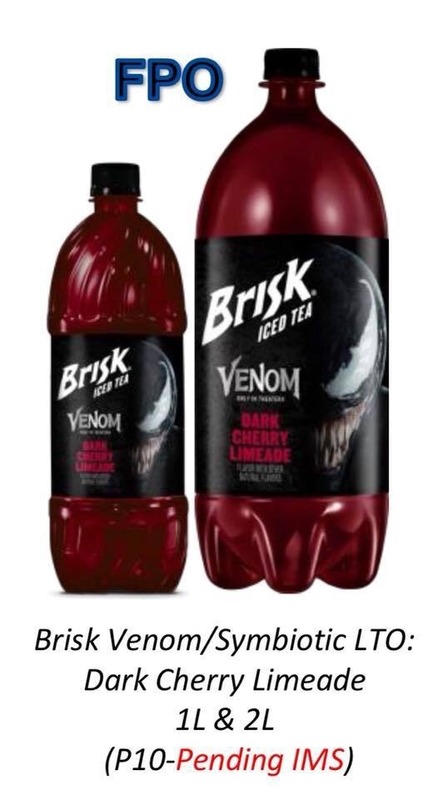 It’s a bottle of Brisk Iced Tea in Dark Cherry Limeade flavor, a seriously gross sounding concoction that admittedly perfectly reflects the disgustingly slimy antihero. I guess market research showed that people just weren’t ready for a brain-flavored beverage? As disappointing as it is that this is potentially our first look at Venom, at least he appears to be pretty much on point. Sinister looking white eyes? Check. Goopy black symbiote coating? Check. Slavering mouth stuffed full of jagged teeth? Big check. 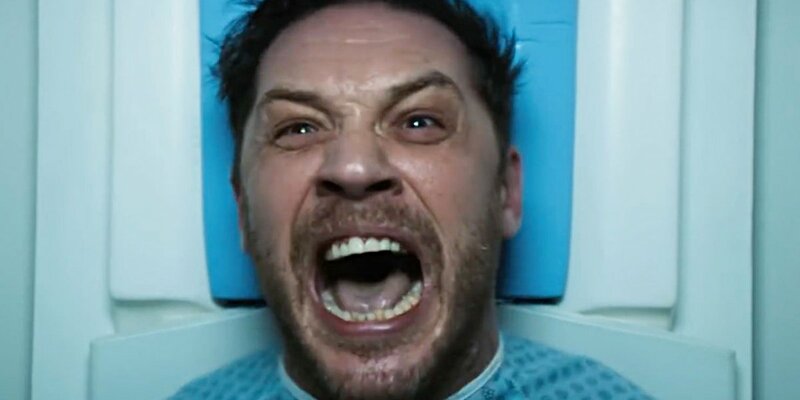 Though this all looks promising, fans should probably bear in mind that plausible sounding plot synopsis which claimed that we’d only see the symbiote completely cover Tom Hardy’s Eddie Brock in the climax of the film, with it gradually enveloping his body over the course of the movie (though Hardy’s since disputed this). While it’s true that this promo art may not be fully indicative of the character’s final look in the pic, I still think it’s about time that Sony has another go at a trailer, perhaps giving us a teeny bit more to go on as to what to expect, especially now that the cat’s seemingly out of the bag on what Venom looks like. They’re already in minor damage control, but with the film’s release a ways away – October 5th – there’s more than enough time to right this ship’s course.